I am an active participant in a traditional company pension plan. Can I also contribute to a traditional IRA account? Is any of my contribution deductible? Anyone, regardless of Adjusted Gross Income (AGI), who is less than 70 1/2, and has earned taxable compensation, may contribute to a traditional IRA. However the amount of the contribution that is deductible is calculated based on your Adjusted Gross Income. I have an option to choose between a traditional pension where I contribute nothing and one to which my employer and I contribute. Which one should I choose? 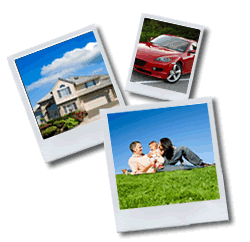 There are a number of factors to consider when making a choice between these types of plans. One should consider the percentage your employer contributes on each plan, which plan has greater flexibility, the vesting schedule, your tax bracket, and the impact on your other assets. You may want to consult a professional financial planner to help you weigh these factors. Can I leave my company's pension benefits to my spouse or children as part of my estate? 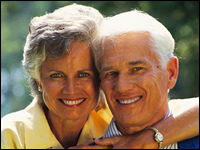 Typically, you can name a beneficiary on your pension plan or any type of retirement plan. However, if the beneficiary is to be someone other than your spouse, you will need your spouse to sign a notarized statement giving his or her permission. Can I trust the company's human resource department to advise me properly? Don't they have a conflict of interest? Typically, most human resource departments recommend that you get professional advice on choosing how much to contribute to each plan and how to invest the money. In most cases, a conflict of interest is not an issue. I participate in a non-qualified plan. Will this affect how I should withdraw my benefits from my qualified plan at retirement? In a qualified plan you must start withdrawing your required minimum distribution by age 70 1/2 or you can be hit with a 50% tax penalty. Non-qualified plans are generally more flexible. You need a financial planner to look at your whole financial situation to determine what is the best withdrawal strategy. Please contact me for further information: Eitan Mor, 757-486-2492.